This elegant volume presents thirteen traditional tales from Nepal and northern India. 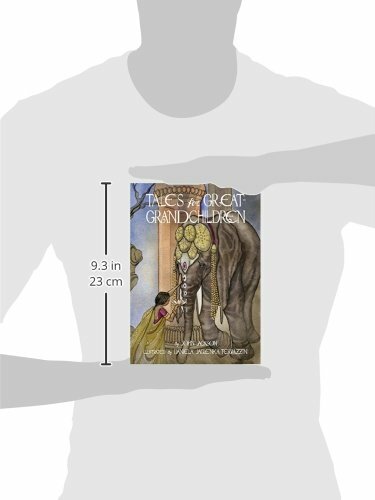 While some will be unfamiliar, a number will be recognised since they appear in many traditions – the talkative tortoise and the geese for example, while Vijaya – the rabbit and the elephants, may have been met in other retellings. Jackson presents these stories in a warm, engaging style, allowing a distinctive storytelling voice to emerge, which, while ultimately literary, nevertheless draws the reader into that charmed circle of the storyteller. The text is further enhanced by Terrazzini’s illustrations and decorative touches. While an app has been created to bring additional material to these tales and add another dimension, this volume can stand alone. It would be an ideal choice for reading aloud whether to a whole class or as a book at bedtime. Recommended.